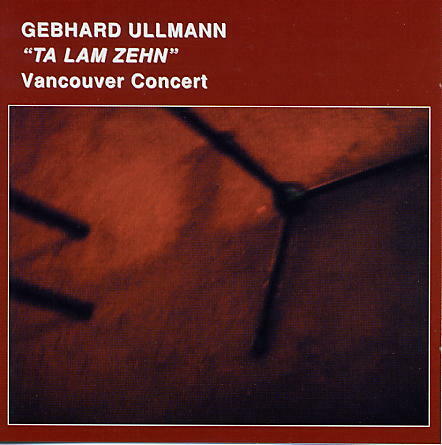 This is a special project by Gebhard Ullmann involving nine reed players and one accordianist. The absence of a rhythm section in a ten-piece band is hardly surprising nowadays; but what is surprising, here, is Ullmann's orchestration, the rich harmonies and dense textures, and the collective energy held together by the sheer rhythmic drive and spirit of improvisation. San Francisco and touched down at several Canadian jazz festivals. Lam (SGL 1520) to mark the event. The keen interest in reed textures is apparent in Ullmann's other ensembles. latter making the most of his instrument's harmonic-rich lower register. Berlin) � pressed into new forms with aggressive orchestration and soloing. the cabaret to the Weill tunes or becoming a cluster machine in the "theme"
depths and perspectives that continue to unfold.